Your pet needs vaccinations. Did you know your cat or dog needs shots (vaccinations) just like you do? Puppies and kittens are especially vulnerable to diseases and need vaccinations to protect them. For example, the disease called canine parvovirus (Parvo) causes vomiting, bloody diarrhea, dehydration, and death in dogs every year in Los Angeles County. Our county also has many cases of distemper (in dogs) and panleukopenia (in cats) every year. All of these diseases can be prevented by vaccination. One vaccination is NOT enough! Vaccinations need to be given more than once in order to protect your pet completely. For example, puppies can be protected from Parvo by vaccinating them three times between the age of 8 and 16 weeks. The Parvo vaccine has to be given again a year later, and then is given again every 1-3 years or as recommended by your veterinarian. Vaccinations are a bargain. Save yourself money and heartache. Vaccinations cost a lot less than treating a sick pet. The best time to get to know your local veterinarian is before your pet gets sick! Getting vaccinations from your local veterinary clinic is a great way to get to know them. 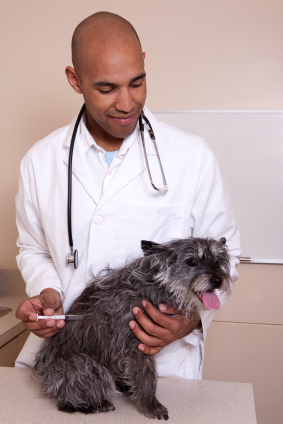 Many veterinary clinics offer lower-cost vaccinations on certain days. Animal shelters in our county also offer low-cost vaccination clinics for your dog or cat. Rabies vaccinations often cost as little as $10. Click here or call (562) 940-6898 for more information. Click here for LACDACC Low cost vaccine and microchip clinic schedule (January-February 2019). Vaccinations given at 6 animal shelter locations around the City of Los Angeles. Call (888) 452-7381 for more information. Walk-in vaccines and microchipping Monday through Thursday from 11am -3pm for their service area only. For more information call (562) 570-7387. Low cost vaccination clinics every Wednesday and Saturday from 10:00am -11:30am and 1:00pm-1:30pm. 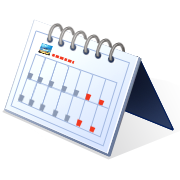 Vaccinations offered Tuesday -Friday: 10 am - 5pm, Saturday: 9 am - 4 pm. No appointment is required as services are walk-in only. Call (562) 803-3301 for more information. Contact your local animal control agency for more information. To see a list of all of animal control agencies in LA County, click here.